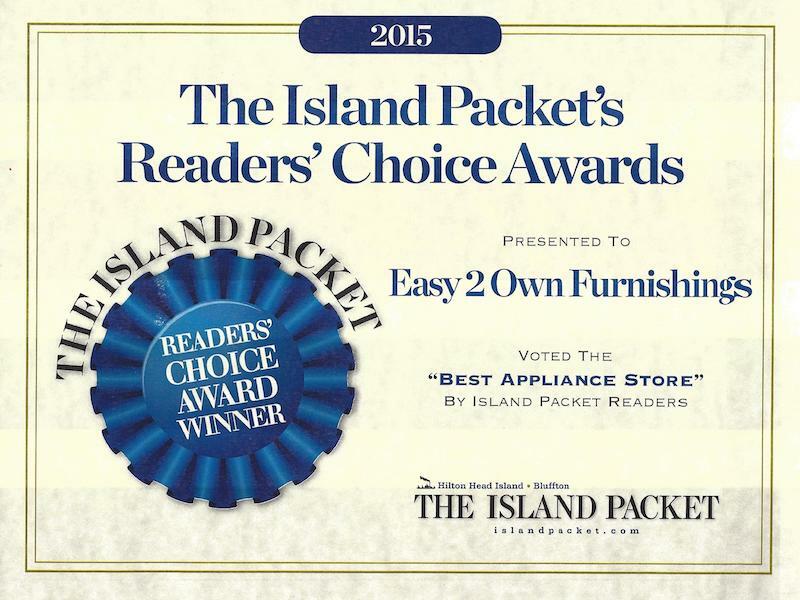 Thank You Island Packet Readers for Voting Easy 2 Own Furnishings as the Best Appliance Company! We Support Our Locals! Easy 2 Own Furnishings won The BEST Appliance Store in 2015! Visit our website https://easy2ownfurnishings.com/ or stop in to see us anytime!